Some of y'all carry a .40 for backup in bear country. Curious what loads you recommend. Been considering the hard cast 200 grain buffalo bore. Any issues with that in a springfield xdm compact (3.8" barrel). Getting a chest rig so I can wear comfortably with backpack. .40 is a bit light for bear, but that's what I usually carry as a general sidearm. If I was loading specifically for bear, I'd want solid lead cast bullets. Only trouble is that you're not supposed to shoot them in a Glock. I don't know about the XDm. With that said, I bet 14 Gold Dots or Rangers would definitely get one's attention even if they didn't get ideal penetration. Thanks NC. Going to ask Springfield to see what they say about the hard cast. Appreciate the other recommendations. Looking at numbers and knowing it's purpose, I'd say it would be excellent. My Shield in .40 is stoked with 165gr Gold Dots. But, my M686 Plus is loaded with BB 180gr hard cast for similar purposes. I carried a S&W 99 (Same as Walther P99) in .40 S&W for a few years. I bought a box of 180-grain jacketed HP's for my deep-penetrating defensive load. I would not, and did not, load it "just for bear" even when hiking in bear country. The greatest danger is still from HUMANS, not any sort of animal. A heavy hollowpoint was as far as I would go in the direction of deeper penetration, but I didn't want to get a semi-wadcutter or RNL or FMJ bullet and maximize penetration while minimizing the wound channel width, especially in the first several inches of tissue. Youtube videos say this load penetrates 13" - 14" in ballistic gelatin, reliably expands to .65" diameter, and retains all its original weight without shedding any metal along the wound track. These 180-grain HP's were chronographed at an average of 1000 fps when fired from a Glock 22 with a 4.5" barrel. I've always carried 150gr jhp's in my 23, I do have some 165gr flat points if I want a " through and through" , and I have loaded mags with those two rounds alternating back and forth. I've never cared for the 180gr loads in .40 cal, even though I know its standard issue with most LE departments, I have always preferred more velocity. The lighter weight loads are easier to stay on target for follow up shots also. I carry mine in the woods as well as daily during the cold weather months. I’d probably get cheap jacketed sp or even Fmj at Walmart. With a low velocity cartridge like a .40, I would think a little more penetration would be better? I think reliable feeding would trump all in the unlikely event youll need it. Honestly, I don’t think it’d much matter. I carry a 22 as my sidearm in case I have to fight off another Quatch up on Swallow Creek. Thanks guy's for your input. I have a note in to Springfield re the hard cast and we'll see if they get back with me. I'll post their reply and then go from there. Appreciate your replies! Here are some test results of several popular pistol calibers in ballistic gelatin. I'm going to change my defense loads based on these tests. I shoot 180 grain bullets in my M&PC because the gun is regulated to hit dead center with that bullet weight. I have carried it in the woods but I don't consider it adequate for bear or hogs. If I'm faced with either one I want a little more in my hands than a 40 S&W. Well heard back from Springfield and they do not recommend shooting lead cast bullets from any of their firearms. I agree wholeheartedly that functionality of the firearm is the most important factor in making an ammo choice. I'll look in to y'alls recommendations. 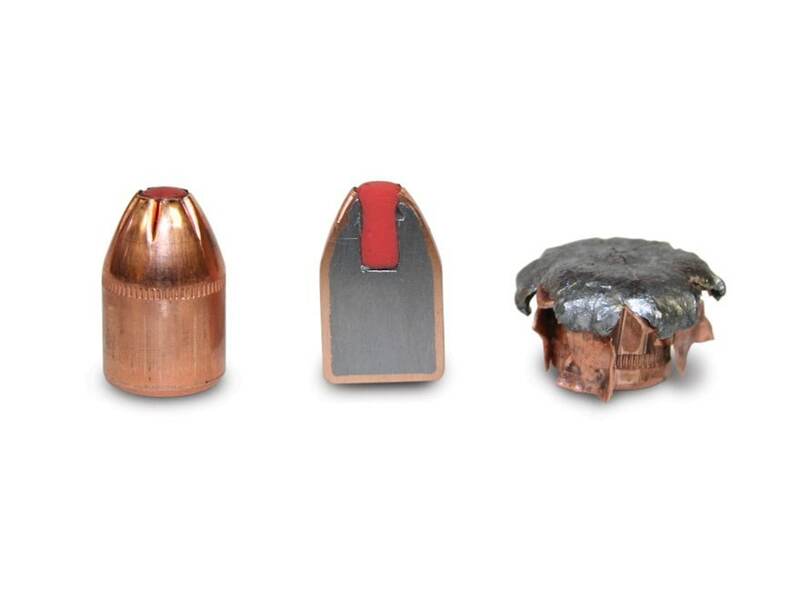 Look into Underwood Ammo, they have a 140gr extreme penetrator using a solid copper new design bullet that I've seen gain popularity in the last couple years, might be the ticket if you're wanting maximum penetration? Cor Bon are wicked too. that caliber by any means. I would expect similar results in a .40. Great suggestion! I was reading under the hand gunning forum yesterday about this round and then on the Underwood website....XTP bullet they call it. I think I'll give them a try and see how they perform. Thank you! The only problem with expanding "self-defense" rounds on bear-sized critters with thick coats of fur is penetration. Penetration is the name of the game here, where it isn't with shooting people. Fmj ammo if I'm toting my 40. Thanks! Is it legal to be in possession of fmj in the public game woods..."non expanding" bullets? As long as you aren't "hunting" with them. This is what I carried in Wyoming a couple of summers ago, what little time I did carry. The area was known for grizzly numbers though I didnt see one. A .40 cal was the largest caliber I owned, so I was going for maximum penetration too hopefully with a head shot. I ended up relying on bear spray for peace of mind. A pistol was just too heavy to carry trout fishing. I do not know about a bear but I used the Hornady Critical Defense out of the same handgun you have and dropped 120 ish pound hog around 35 yards.